Get notified when Rudy will be in your area! 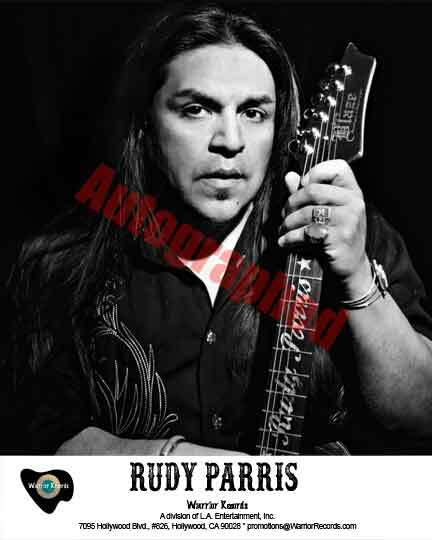 - 09/21/16: Interview by Arroe Collins ~Arroe Collins-Rudy Parris "Doing It For God And Country"
Rudy Parris, a Native American singer, guitarist, and songwriter hails from Central California's San Joaquin Valley. Being influenced by the Bakersfield sound, Parris was honored to have enjoyed a longstanding residency playing alongside country legend Buck Owens at his Crystal Palace in Bakersfield, CA. Parris cites Owens, Merle Haggard, B.B. King, and SRV as his greatest influences. "I learned from Buck that I just need to be me," said Parris. "He played his music, had fun, and joked around. That instilled a sense of freedom to be myself. They are all part of my soul." 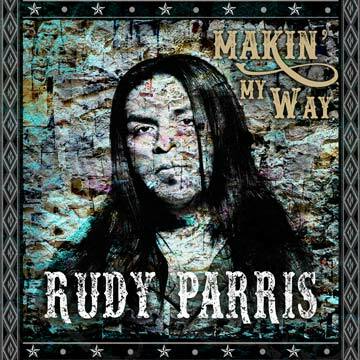 Carrying the torch for the Bakersfield sound is important to Rudy, which is why his label, Warrior Records, chose to record his debut album, "Makin' My Way," at Hollywood's famed Capitol Records in Studio B (the same room where both Owens and Haggard recorded their many hits). Join the mailing list now for first notification about Rudy's upcoming album. 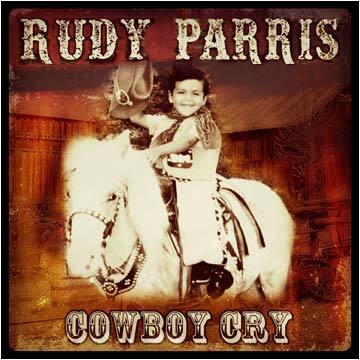 Produced by Parris and Warrior President, Jim Ervin, the album features guest appearances by Hank Williams III, 4-Time Grammy Winner Little Joe (y la familia), actor Michael Madsen, Chad Smith (Rock and Roll Hall of Fame Inductee/Grammy winner), Pete Anderson (Dwight Yoakam), and a host of Nashville's finest musicians. However, Rudy is probably most well known for his appearances on Season 3 of NBC's The Voice. He was a member of Team Blake (Shelton) and was featured in that season's live finale with a guitar and vocal performance on "Rock and Roll All Night," a favorite by his rock heroes, KISS. During his tenure on The Voice, Rudy was featured to over 190 million viewers! Parris' voice and soul has caught the ears of many music icons. Superstar Steven Tyler commented, "Rudy has a soulful, native spirit and authentic country voice." Rudy is also renowned as a monster guitarist who can hold his own playing and singing most any style of music. Notably, Rudy was invited to perform at the acclaimed annual Jason Becker Not Dead Yet Concert in 2013, where he sang and shredded with the likes of Jon Uli Roth (Scorpions), Steve Morse (Dixie Dregs), Richie Kotzen (Mike Portnoy), and Gus G (Ozzy Osbourne). Rudy has also toured as lead guitarist for Hank Williams III. Over the years, there have been numerous performances on stage by Parris with some of the biggest names in music, including James Brown, Bo Diddley, Jerry Lee Lewis, and Hank Williams Jr., just to name a few. It's apparent that Rudy will continue his rise toward achieving iconic status as an artist. As Rolling Stone noted, "Rudy is a crooner and a shredder, he is the original model John Mayer."